The Coleman’s foxhound Sherlock Holmes didn’t care much for the polar vortex that punched millions of Americans in the throat recently. I’ll get to his complaints shortly, but first the national news, which was no laughing matter. ABC’s David Muir put the weather’s death toll at 26. Among them was University of Iowa freshman Gerald Belz, who was found unconscious not far from his dormitory in the middle of the night and later passed in the hospital. A simple walk to my car the other day now makes my heart break for the kid. I was underdressed, shame on me. Panic rushed through my chest when I thought for an instant that my keys were on the kitchen table in the locked house. Imagine Gerald’s fear. Of course, America’s unwelcomed guest punished most folks less severely. 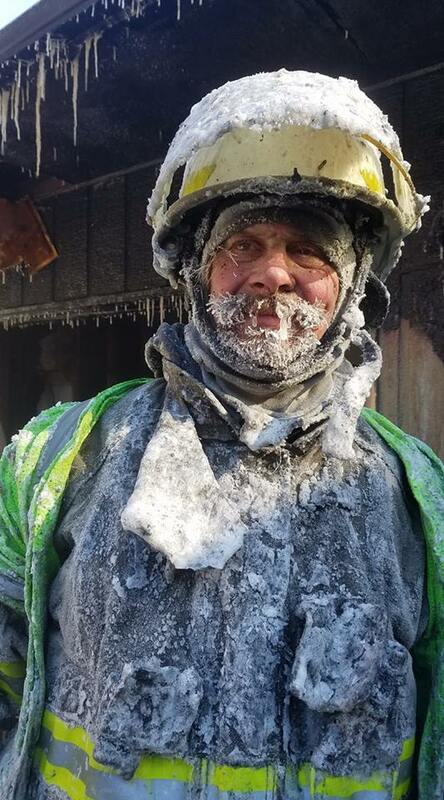 Cameron, Wisconsin, Fire Department Chief Mitch Hansen’s face was all over the media, his beard sporting icicles from fighting a house fire in winds that felt like minus 50. God bless all professions that demand such grit as well as unfortunates who lack a permanent address. Before starting pastoral work in Oniontown three-plus years ago I wouldn’t have given much thought to how farmers fare in sub-zero temperatures. Now I have parishioners who have no choice but to bundle up and stride into the gale. Dave, for example, spends many hours out in the elements tending his cattle and got knocked flat during the cold spell by an overprotective cow for trying to put a coat on her newborn calf—some thanks! St. John’s members also include a dairy farmer and a handful of others whose horses and chickens don’t distinguish between shirtsleeve and Carhartt seasons. The animals themselves appear stoic enough as I drive past their fields, but not so my dog, whose temperature-related grievances are trifles compared to loss of life. Still, I’ve long believed that any undeserved pain merits loving regard. And Sherlock, after all, can’t be comforted by the knowledge that some humans and beasts have it worse than he does. The Coleman foxhound’s overarching problem is his breeding. Functionally, Sherlock is a lean, 70-pound snout with heart and lungs. He is engineered to dash about maniacally, registering all comings and goings—especially the goings—of the local animal population. Sadly, the polar vortex complicates giving his nature free reign. Turns out Sherlock’s paws are sensitive to the cold. Within a minute of stomping about in the snow, he is on eggshells, favoring first one paw, then another. He looks around, flummoxed and defeated. Sniffing expeditions and mad dashes at the two-acre dog park near our house are out of the question. Even if Mr. Holmes’ podiatric constitution were rugged, his humans would be idiotic to go hypothermic just so he can receive communiqués from the neighborhood’s critters and run off surplus energy. In any case, he howls and flings himself about when wife Kathy tries to put numbing salve on his paws. His brilliance in olfactory matters is cancelled out by his anemic powers of deduction. “Mother loves me,” Sherlock doesn’t stop to think. “Mother is taking me outside. Mother wants to put goop on my paws. The goop will probably help. I should sit still.” Oh well. I’m giving my dog’s burdens light-hearted treatment here, but his breed combined with his weakness may have led to his arrival in the Coleman house. I’ve returned to the stranger’s words again and again ever since, my heart breaking each time, even at the possibility. My pal is a great hunter, he just can’t stand the cold: Bred for a great purpose, but foiled by one flaw. Throw in human cruelty, and you’ve got tragedy. Home. A place to sleep. 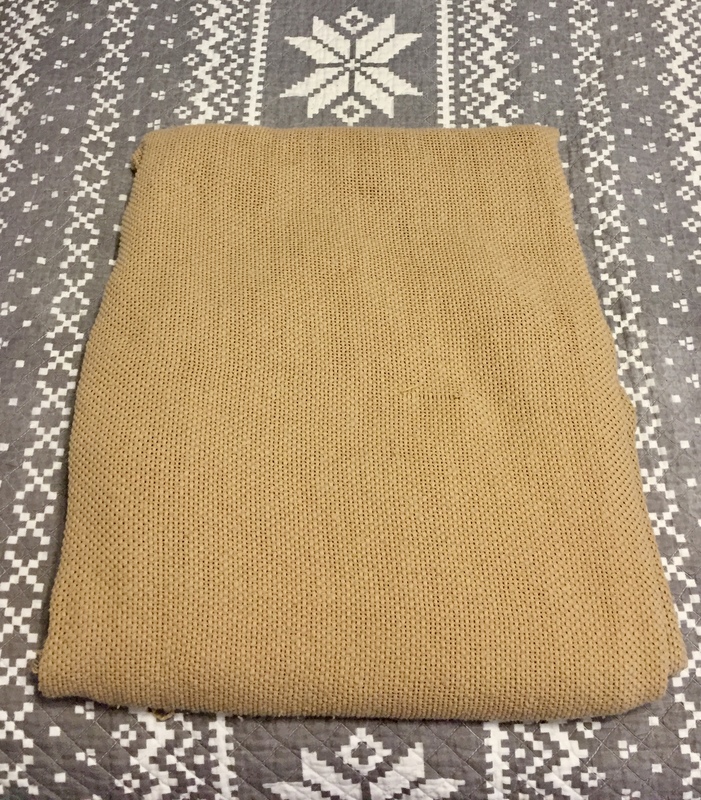 A warm blanket.